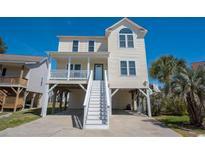 Below you can view all the homes for sale in the Salters Cove subdivision located in Murrells Inlet South Carolina. 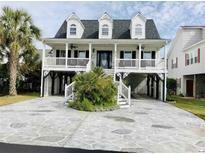 Listings in Salters Cove are updated daily from data we receive from the Myrtle Beach multiple listing service. To learn more about any of these homes or to receive custom notifications when a new property is listed for sale in Salters Cove, give us a call at 843-695-7716. Located east of hwy 17, between Myrtle Beach and Murrells Inlet, minutes away from the beach and everything Myrtle Beach and Murrells Inlet has to offer. MLS#1908562. Come see this lovely home today! MLS#1906495. Just a short golf cart/bike ride only 3 blocks from rear entrance of the community to the best beaches on the strand, Garden city and Surfside Piers have live entertainment, arcades, fine restaurants, shopping at Kroger and Walmart, the Marshwalk nearby and all the best of the real beach life. MLS#1904506. *** This home is being offered furnished with a golf cart to cruise the beach *** MLS#1904308. This is the one you've been waiting for.....don't delay. Call today! MLS#1903043.